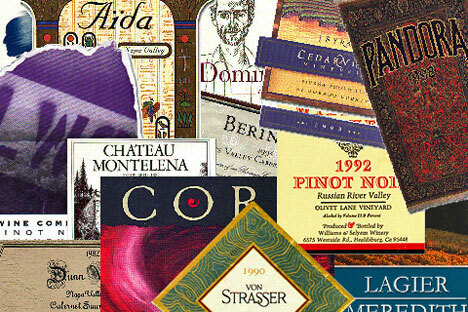 Much of the enjoyment of wine is in the selection. 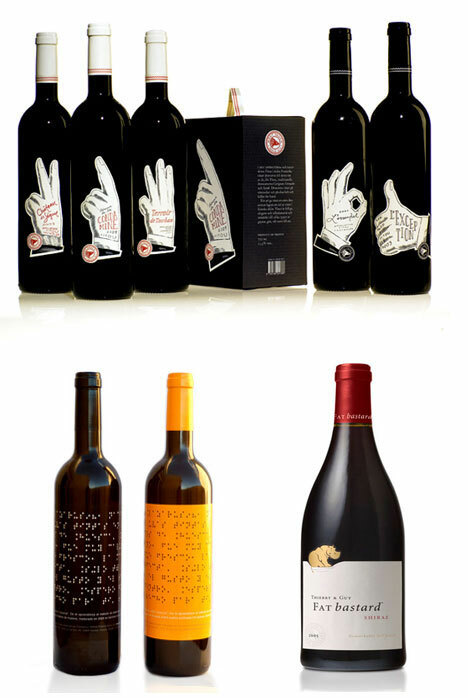 Whether you are a casual drinker or a wine connoisseur, the process of picking a bottle of wine is made more exciting by the packaging. 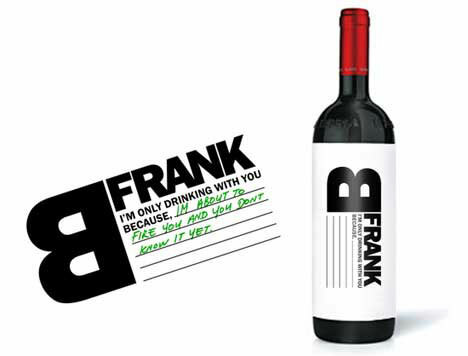 Wine labels that catch our attention are the ones with beautiful artwork, sleek and elegant designs or the clever use of humor. 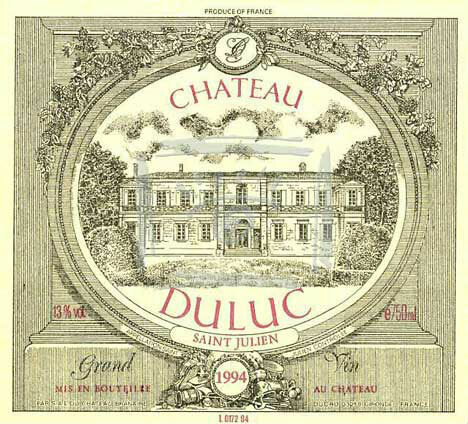 Traditional wine labels are elegant and refined, as you might expect the wine inside the bottle to be. The packaging is highly functional, though more utilitarian than visually exciting. 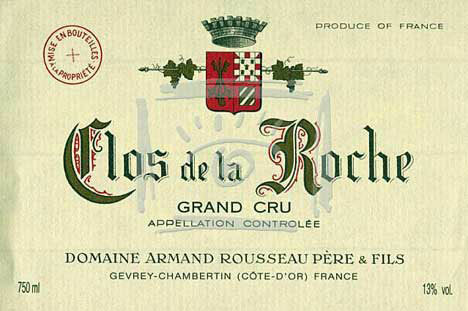 Coat of arms or family crests often grace these labels, giving them their “strictly business” or historic appearance. 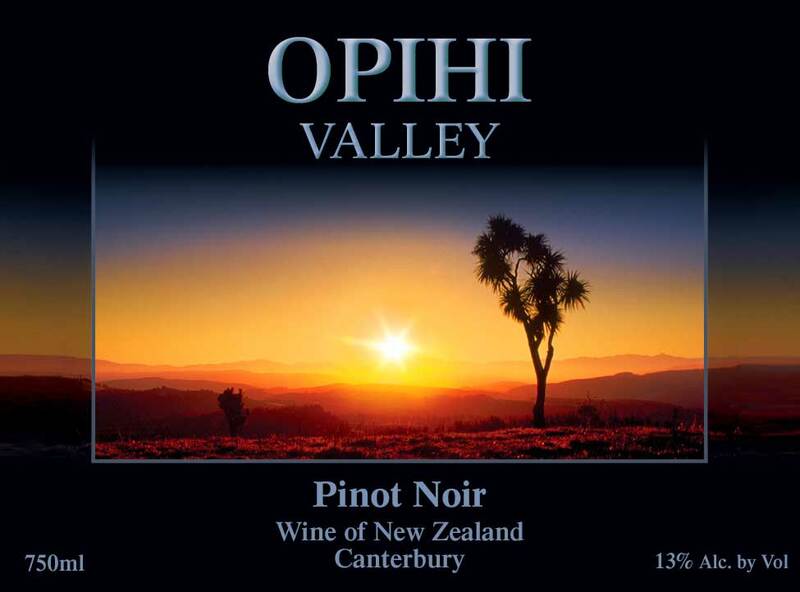 While traditional and vintage wine labels are often attractive and appealing in their own right, there is no hint of marketing. 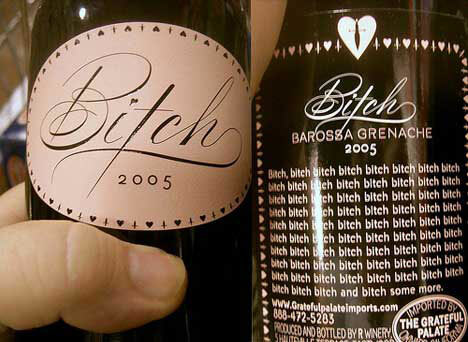 These labels seem to let the integrity and reputation of the winery speak for itself. Designers who make use of typography, and do it well, can make a visual impact solely through the arrangement and composition of words. No graphics or logos are necessary in these types of designs, as the text itself is artistic. Great use of typography creates and conveys a feeling within the text that reaches far beyond the simple meaning of the words. Whether subtle and understated or basic and bold, typography is an effective creative design tool. 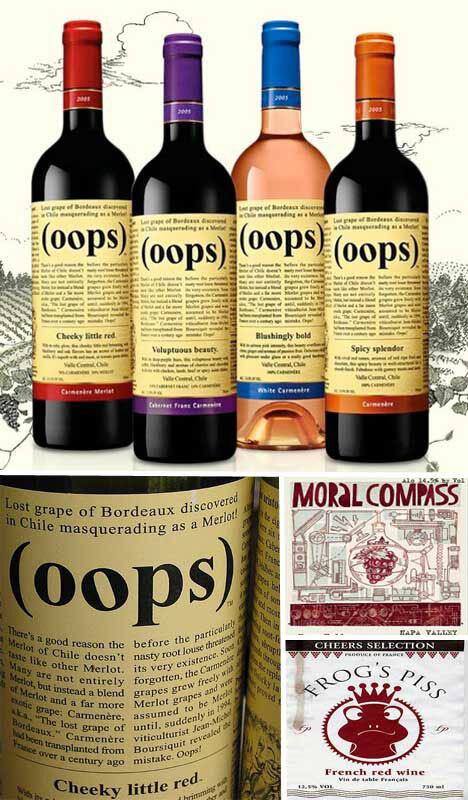 A sense of humor can go a long way in creating a marketable design. 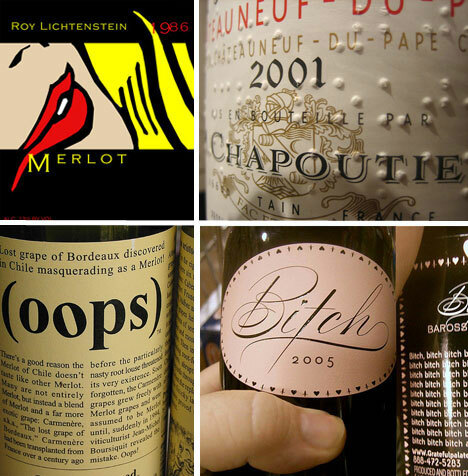 There are a sea of choices when shopping for wine, and for the casual wine drinker, the selection may come down to a label that comes with a laugh. 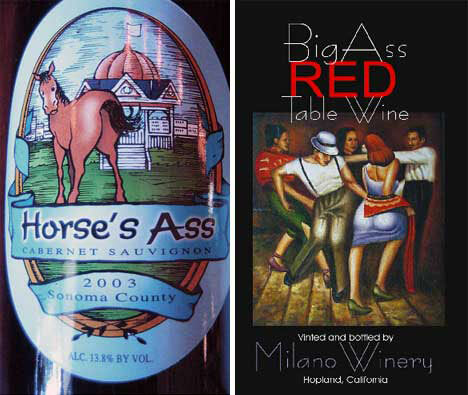 You may be driven by curiosity to purchase a wine that labels itself “substandard,” or buy a wine named after the back end of a horse as a party prop. 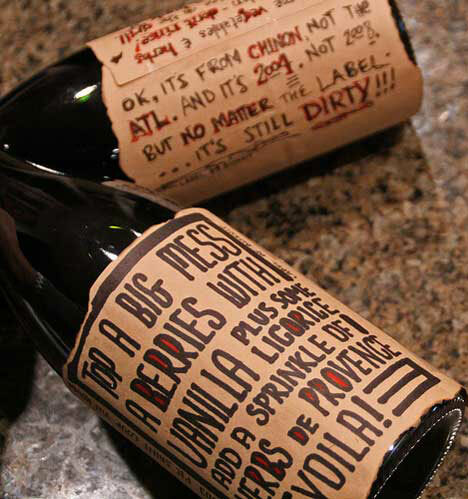 Labels that seem to let us in on a running joke grab our attention. 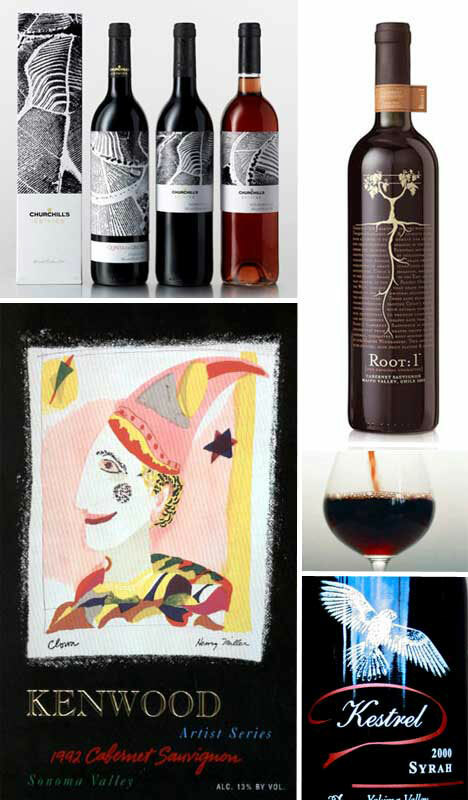 Some wine labels are incredible works of art. 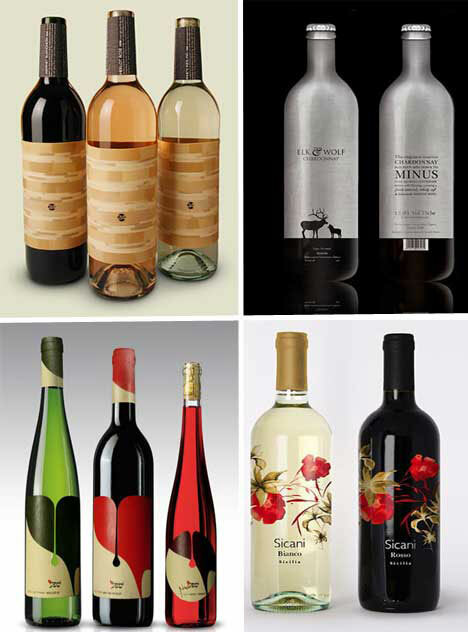 These labels are so beautiful; it can be a challenge for the wine to outshine its packaging. 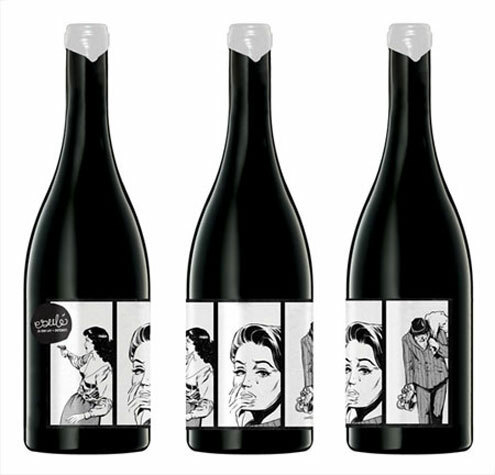 Existing works of art by famous artists are sometimes incorporated into a label design, and bring a sense of familiarity to the label. 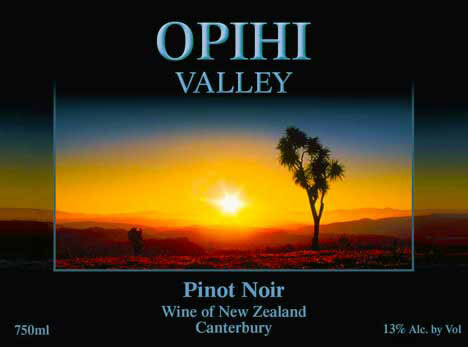 Other wineries use images, original artwork and sleek design to craft the masterpiece on the outside of the bottle. 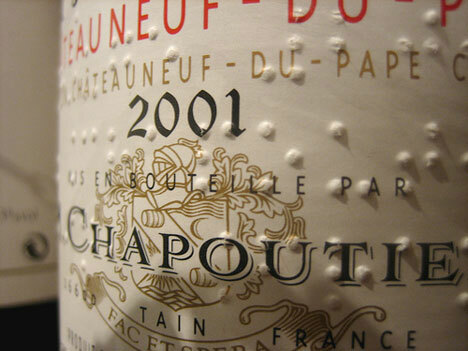 Braille wine labels are exceptionally beautiful to look at and serve a vital purpose for those who cannot see them. When design and function work in harmony, the effect can be incredible. 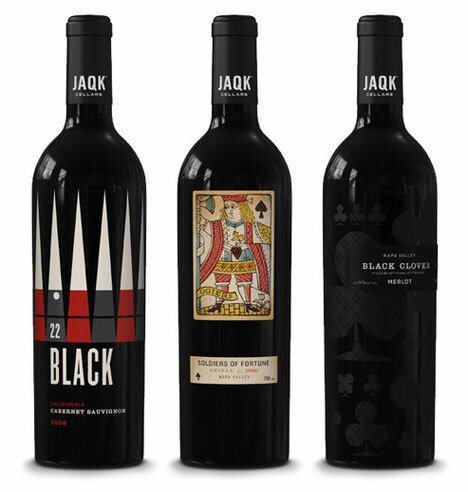 Wine labels that present the brand in an elegant and useful way are on target and connect with consumers. 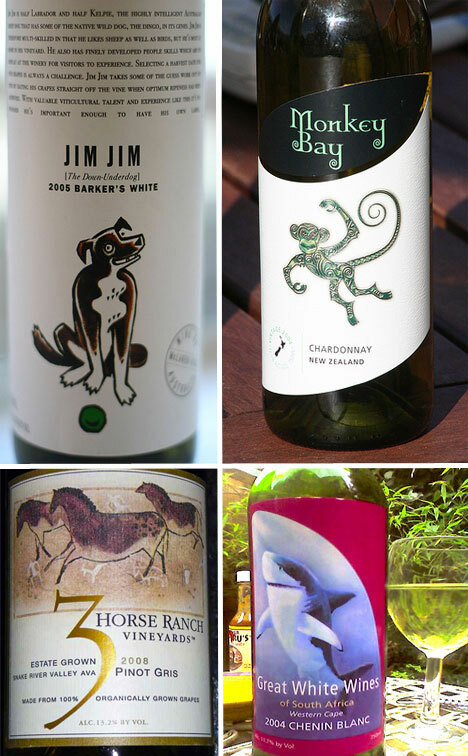 Animals often make appearances on wine labels. Sometimes man’s best friend is the party animal, while other times silly monkeys come out to play. 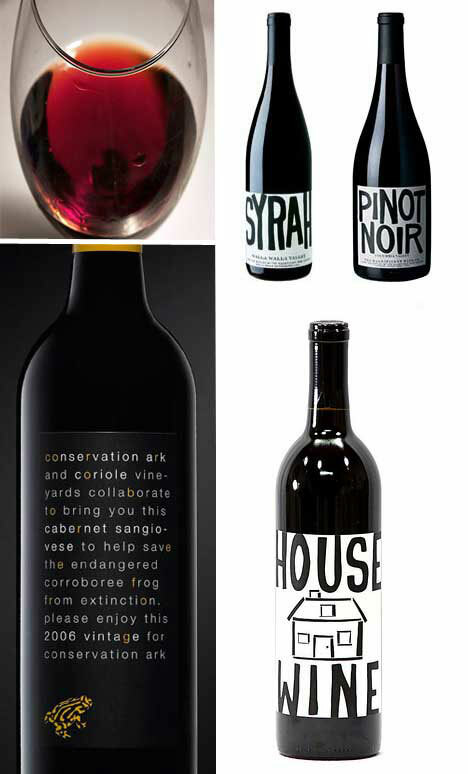 The choice of animal on the label may be used to convey a message about the wine. Wild horses convey a freedom, perhaps a subtle symbol of the loss of inhibitions. A great white shark can signify something far bolder. Who doesn’t love pop art? 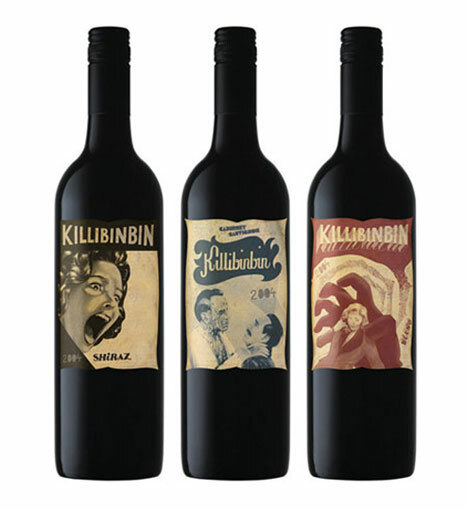 Wines that display colorful, gritty and slightly disturbing art on the labels are often hard to pass up. The art may have nothing to do with the wine, but even with this complete disconnection it works. We are drawn into the drama and exaggerations these labels. 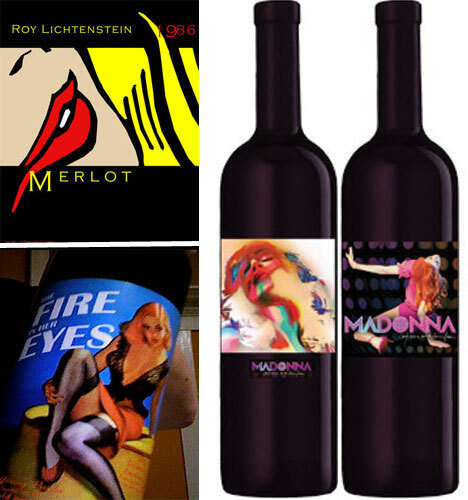 On a literal level, pop star Madonna graces the label of her namesake wine. 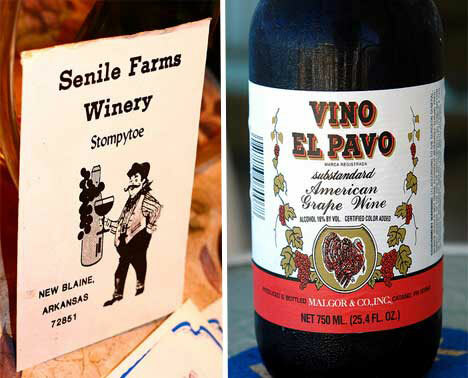 If you’re a wine enthusiast, scrapbooker or just someone who likes to keep a record of good times, you might want to remove the wine labels from the bottles and save them as part of a collection. 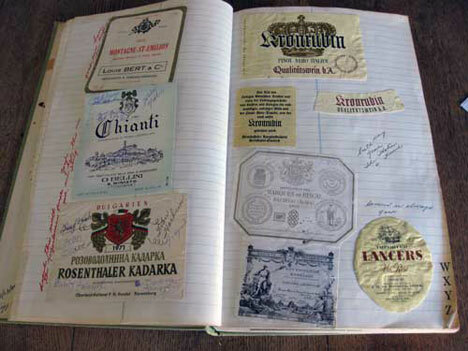 There are methods of removing wine labels without damaging them so that you can treasure your memories. 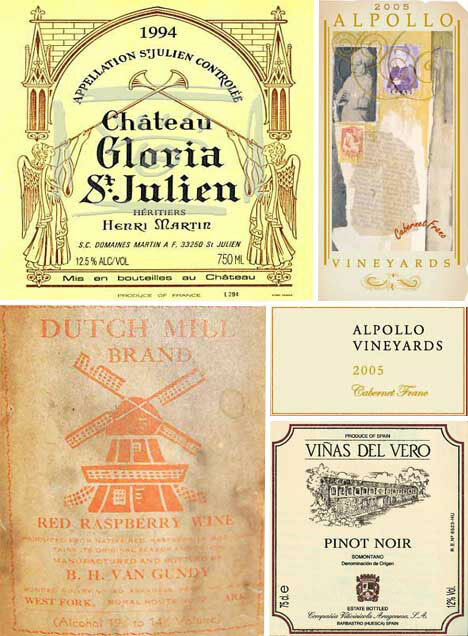 Exceptionally good wine labels may be suitable for framing, while others can be kept in a scrapbook with the story behind the label.